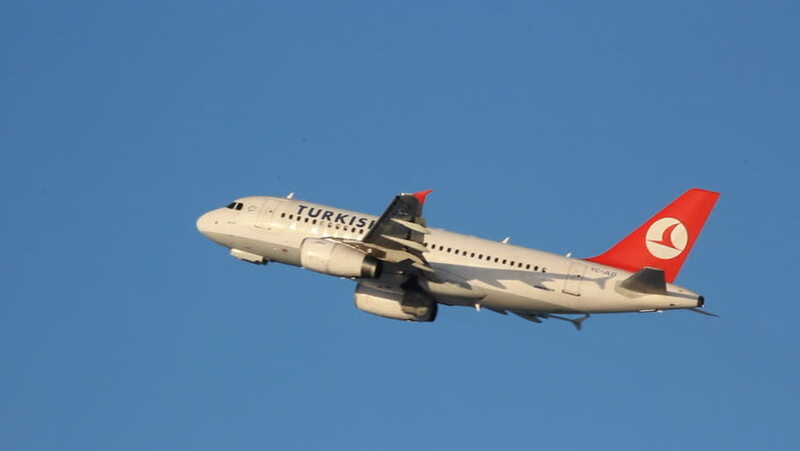 UFA, RUSSIA - APRIL6: A 319 aircraft airline Turkish Airlines taking off in the airport Ufa on April 6, 2013 in UFA, Russia. hd00:20UFA, RUSSIA - APRIL6: ATR-72, UTAIR, landing in the airport Ufa on April 6, 2013, 2013 in UFA, Russia. 4k00:20Melbourne, Australia - January 1, 2018: Virgin Australia Airlines Embraer E-190 Airliner VH-ZPH on approach to land at Melbourne International Airport, Melbourne Australia.